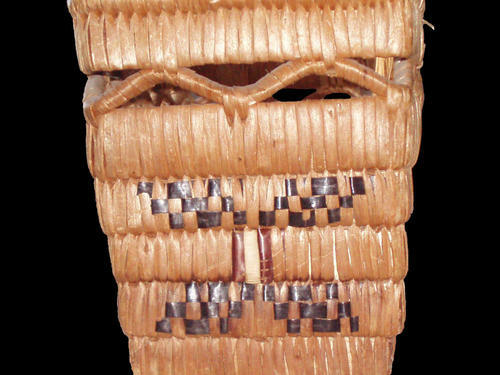 Sliammon elder Elsie Paul commented that the "butterfly" motif used on this basket was associated with basket makers from a particular Sliammon family. 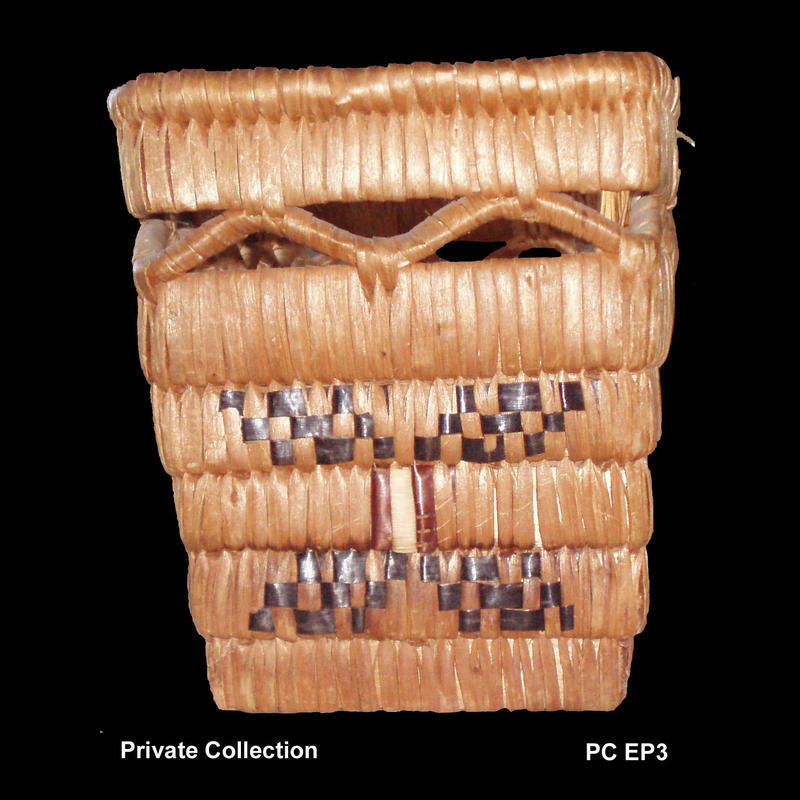 Other baskets with this design are known to have been made by Katherine's older sister, Molly Bob and by ____. 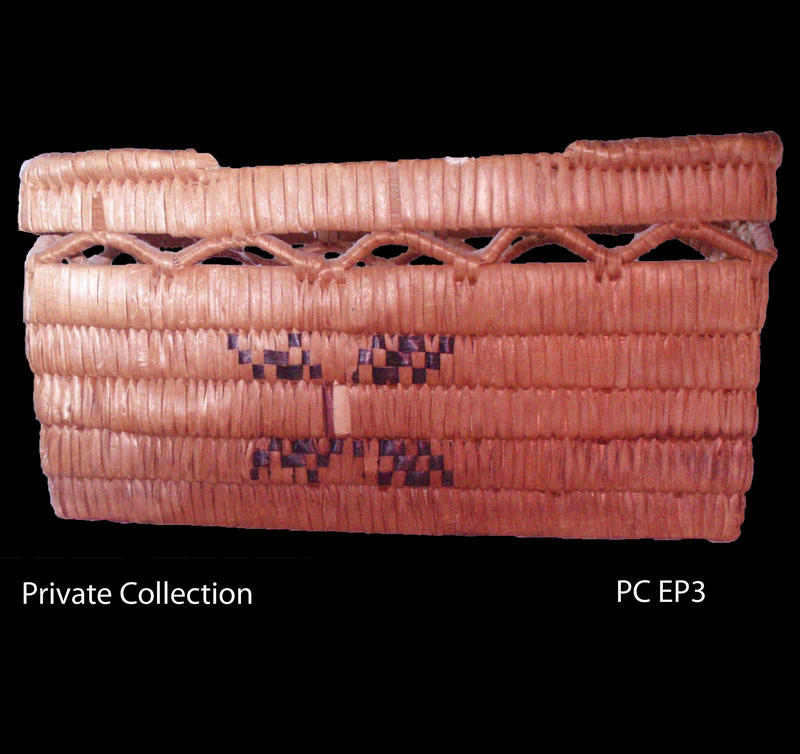 Rectangular slat coiled basket with a row of bundle coil loopwork integrated into the basket wall. 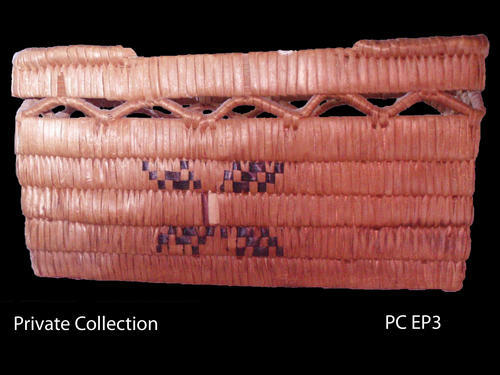 A single row of bundle coil has been added to the top wall slat to form the basket rim. Motif: Each of the 4 walls is decorated with "butterfly motifs" composed of 4 beaded diamonds arranged in a cross formation with a central imbricated element forming the 'body' of the butterfly.- Diamond shapes are each tipped to rest on one of their 4 side facets with pairs of diamonds placed in mirrored opposition to each other. Decoration: beaded design elements are done in black dyed bitter cherry bark. The central imbricated "butterfly body" element is worked in red bitter cherry bark flanking a yellow(?) element created using an unknown plant material.